Most cities put their fun fairs on level, solid ground, but Barcelona isn't most cities. For even bigger thrills, back in the 1900s, it decided to plop its rides on the summit of Tibidabo, one of the highest of the Collserola hills that embrace the great plain of Barcelona. It's still going strong, with classic rides, including a harrowing aeroplane ride out over the void and one of the most panoramic Ferris-wheels imaginable. The Sky Walk, which opened in 2000, allows an overview of the fair. Admission includes the Museu d’Autòmats del Tibidabo, filled with wooden fortune-tellers, mechanical bands and other carnival gizmos from the 19th century onwards. 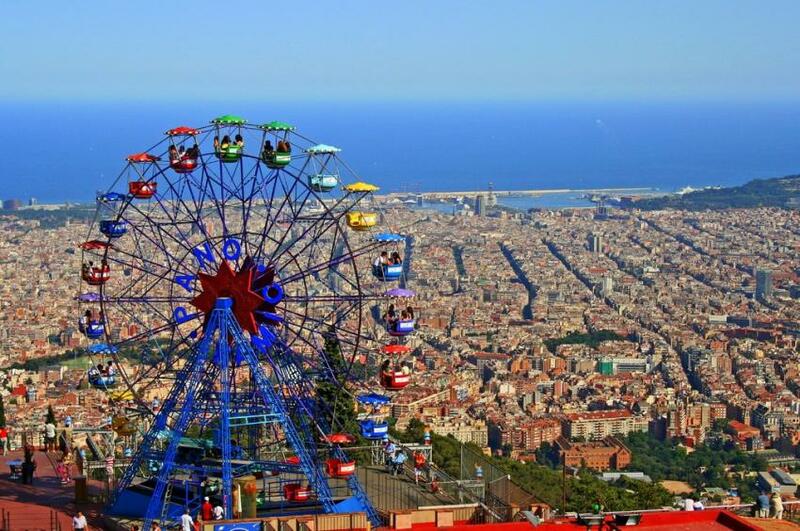 For an even more dizzying view— over the top of the fun fair—continue up to Sir Norman Foster's Torre de Collserola. Hours Amusement Park open Mar-Dec, weekends only except in high season; the Sky Walk is open daily (it's complicated, see website for details).